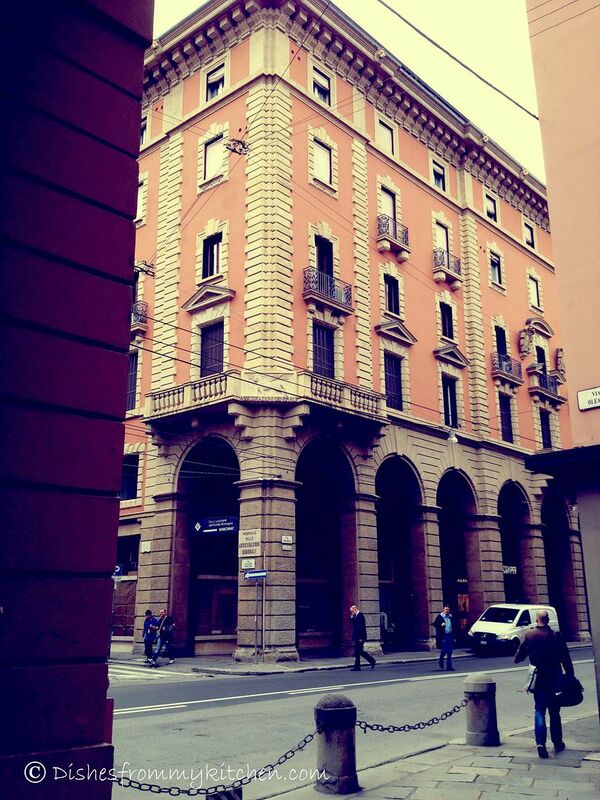 Bologna is a wonderful place with mixture of monuments with the first class architectural and artistic history. 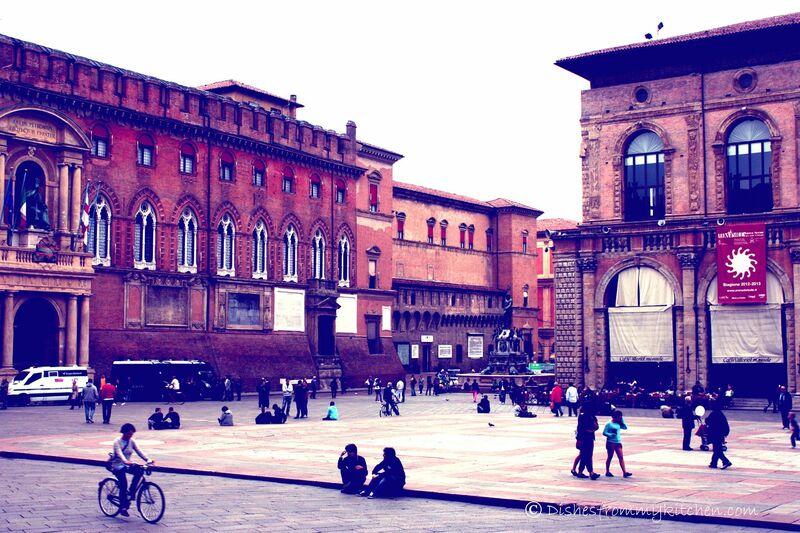 Bologna is the home of the oldest university in the world. 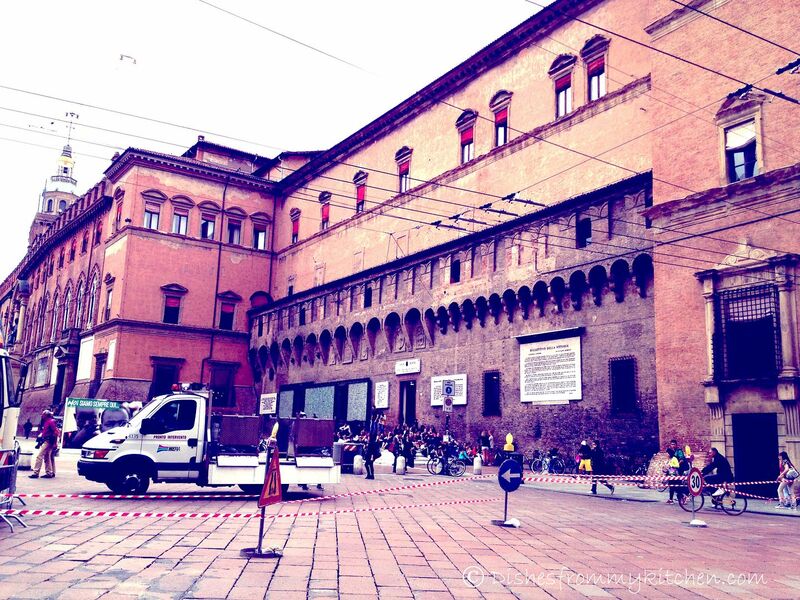 Bologna is renowned for its culinary tradition. It has given its name to the well-known Bolognese sauce, a meat based pasta sauce called in Italy ragù alla bolognese. Tagliatelle with ragù( Tagliatelle al ragù) , lasagne, tortellini served in broth are among the local specialties. 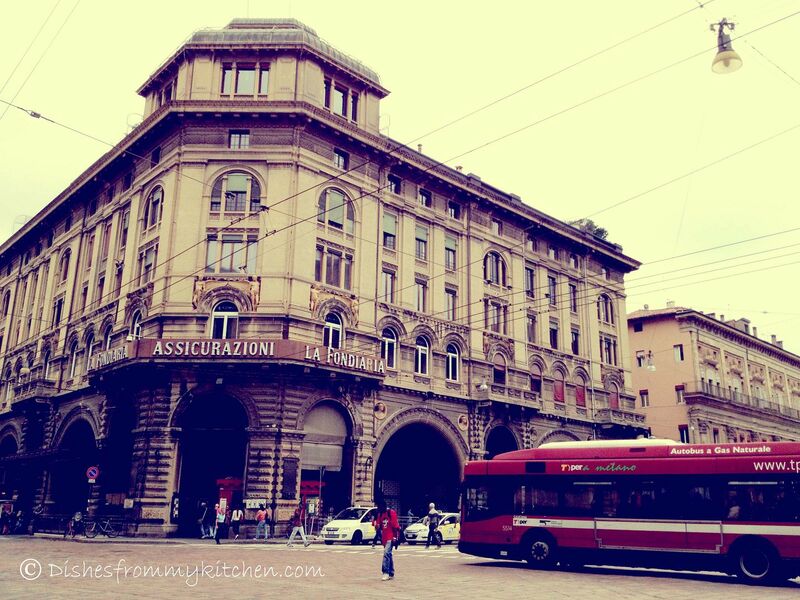 Some Bolognese claim that lasagne was invented in Bologna. 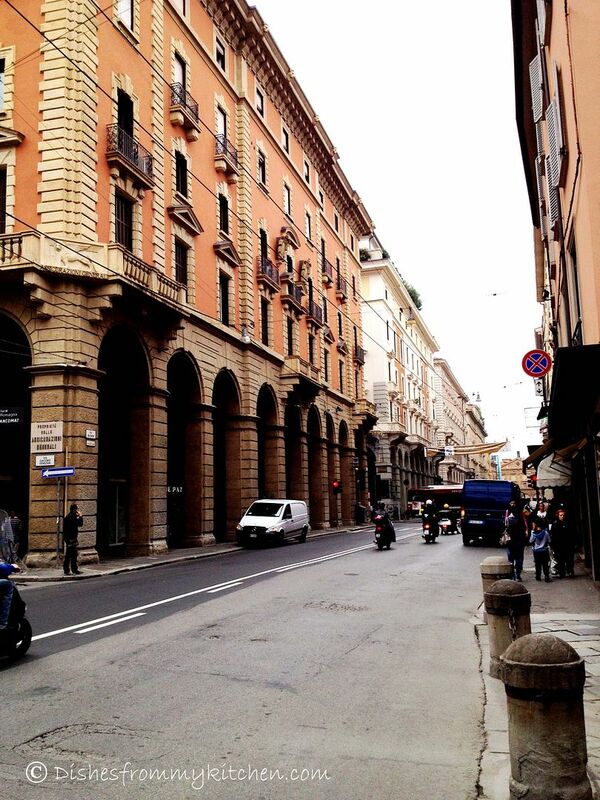 Regardless of where exactly it originated, the version made in Bologna is one of the best. I must say it melts in your mouth....Italian classics like Tagliatelle Bolognese, tortellini and tortelloni, mortadella, prosciutto, balsamic vinegar and parmagiano-reggiano all originated in the Bologna region. 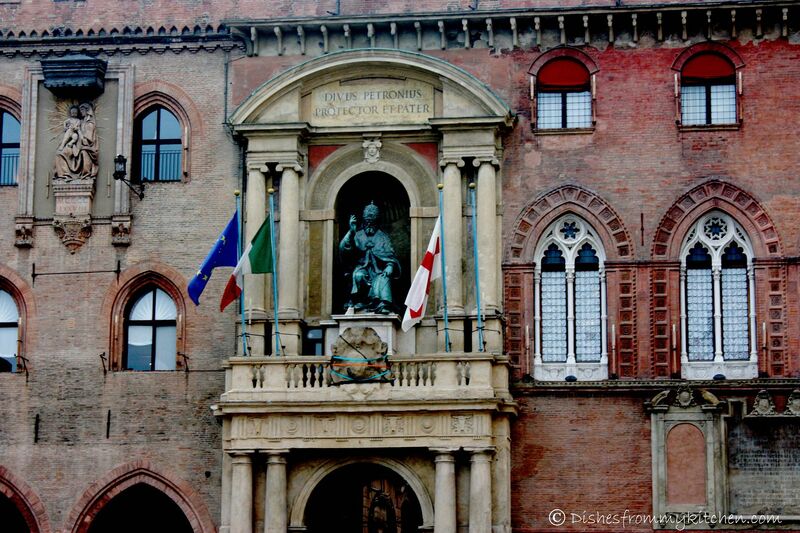 Bologna is the largest city of Emilia-Romagna Region in Northern Italy. I had a chance to learn few authentic Italian dishes in a cooking school which you will be seeing in my next part of Bologna. I enjoyed very well as a foodie and at the same time it was nice interacting with other students, teachers and we had wonderful time. 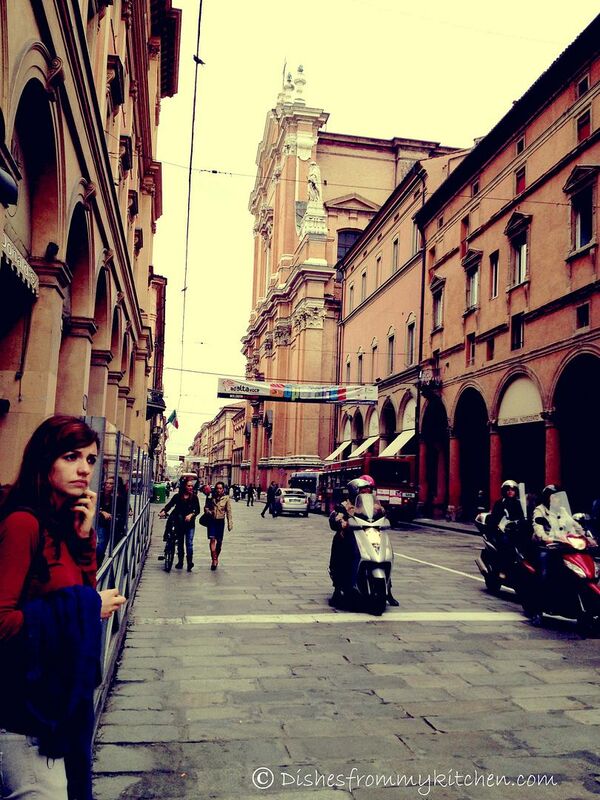 It was absolutely wonderful and memorable trip to Bologna. 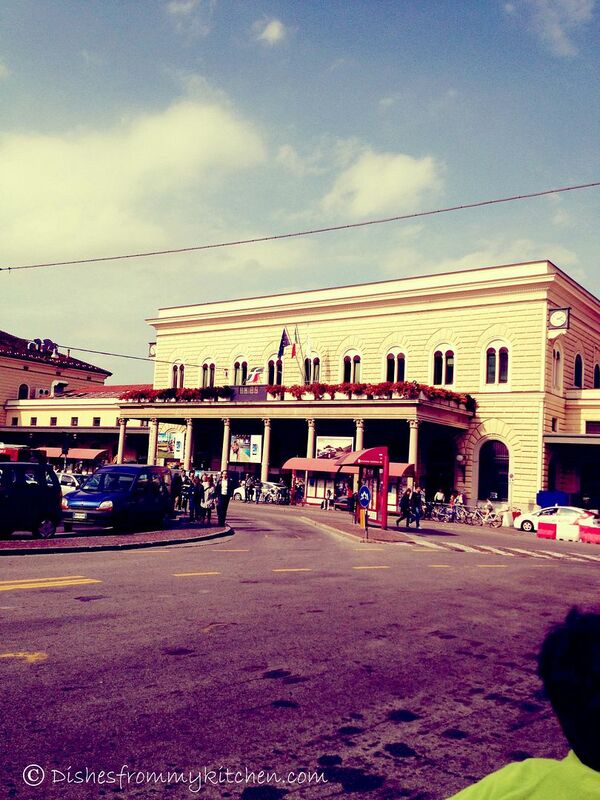 Food is a very important part of Italian culture and dining in Italy is a real pleasure. 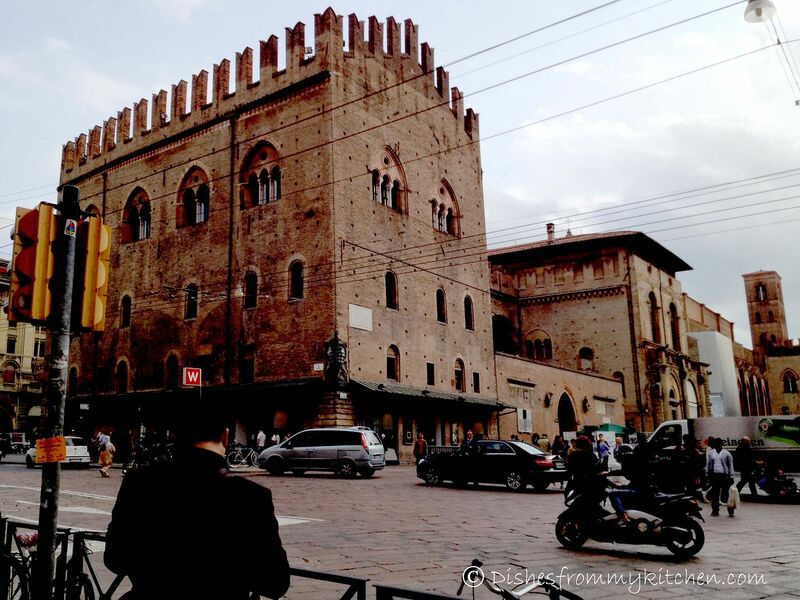 I am really enjoying each and every post of my Italy trip... Hope you enjoy it virtually and stay tuned for Bologna part II to see about the food in Bologna. 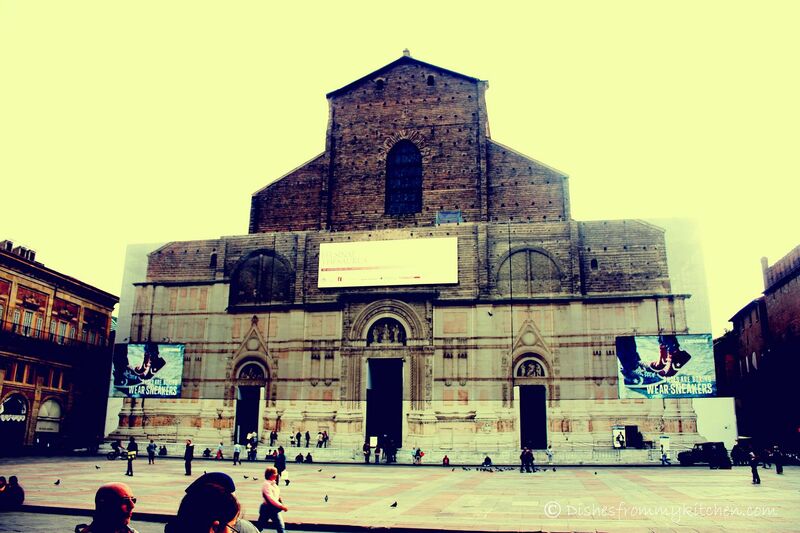 The Basilica of San Petronio is the main church of Bologna. 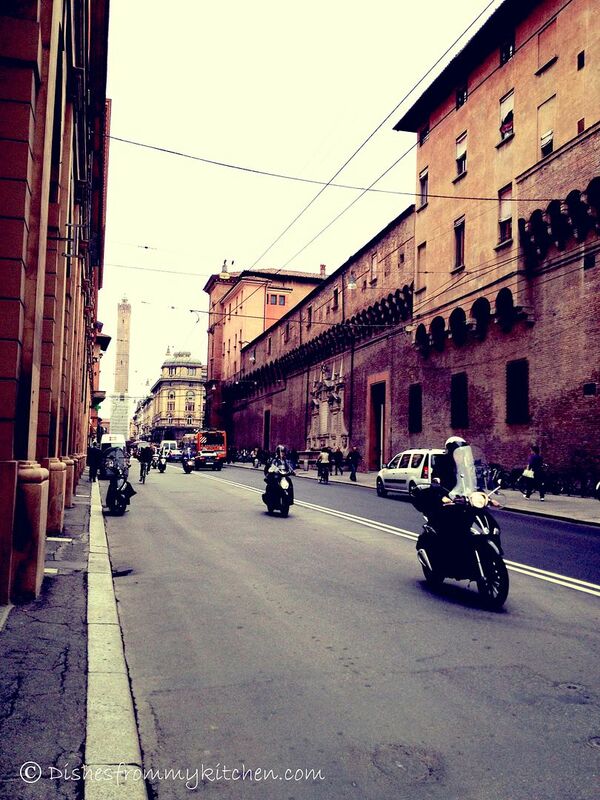 Red-bricked medieval city of Bologna. 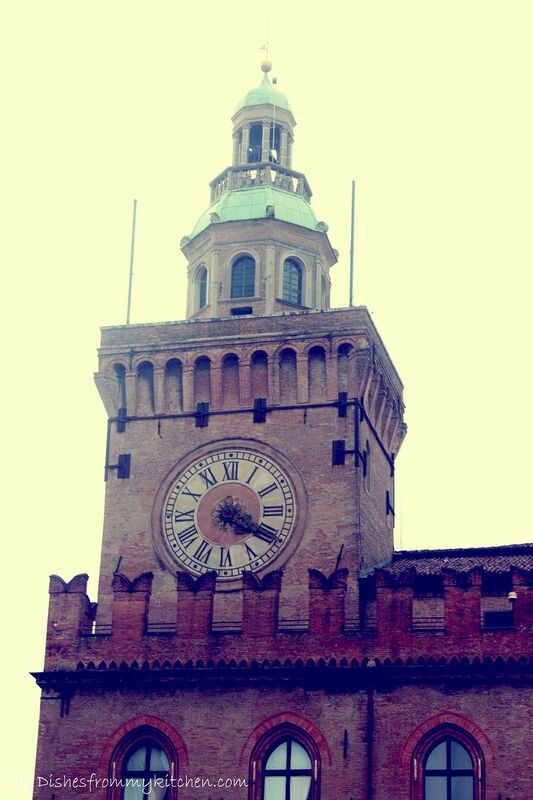 Stay tuned to see Food in Bologna ! That is a lovely virtual tour Pavithra! very pleasant virtual tour,fantastic clicks. 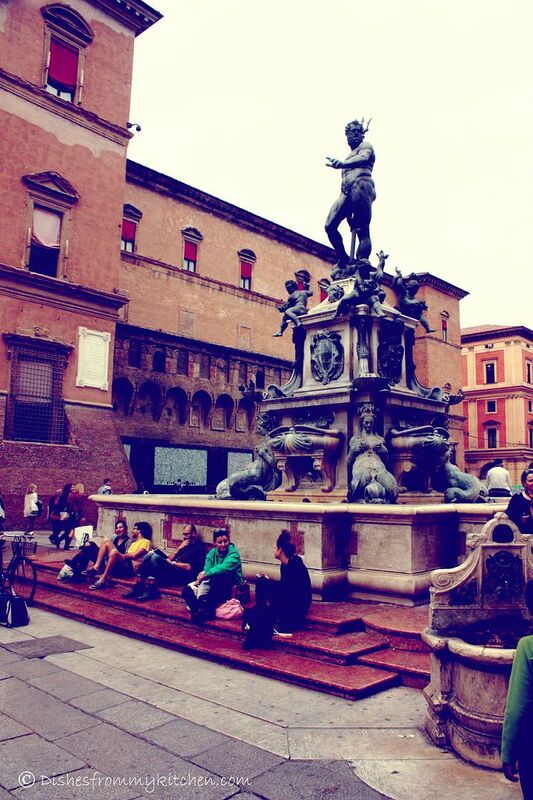 I hope we get to visit Italy some day. The photos are definitely tempting!